Each member of a team can complete the time dedicated to their assigned tasks in two ways: weekly or within a date range. 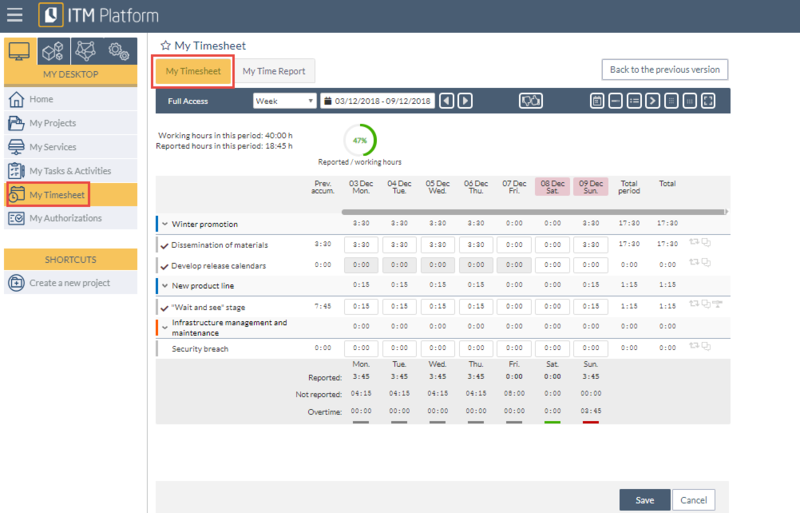 Or otherwise assign hours to regular daily tasks within a date range from the section My Tasks 3. Click on the Time entry icon 4, select the dates and include the hours dedicated to the task.